Developed for today's paints, The Fox range uses traditional styling for modern paint formulations. The filament itself has been specially formulated with poly/nylon filaments. 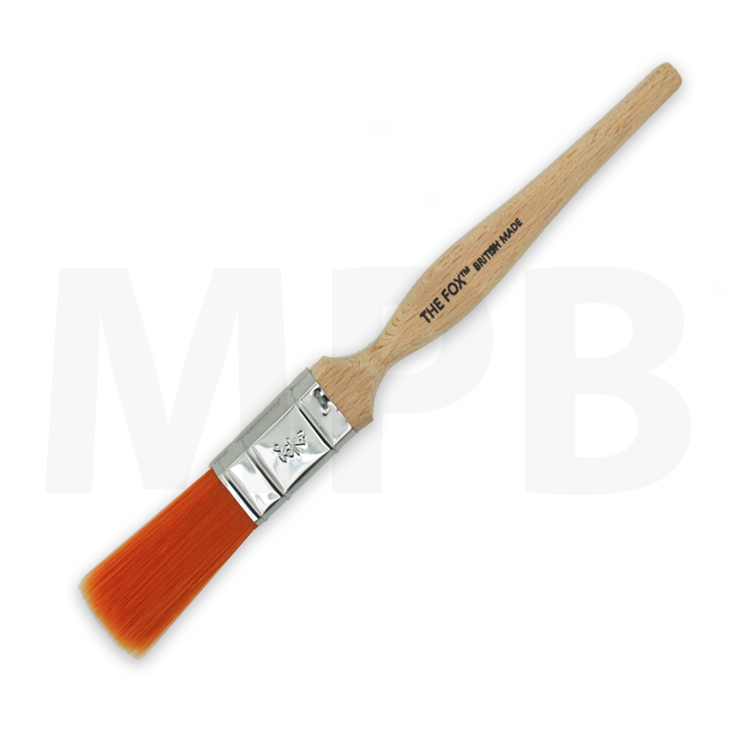 It's thick stock means that The Fox brushes are ideal for holding lots of paint but without compromising the finish. For a straight cut, this brush can cut in as sharp as any other as the filaments have been specifically bevelled. The entire Fox range was created with the professional painter at the forefront of development. Matching traditional styling with modern technology, the brush range in particular helps make decorators lives easier. The filament itself has been specially formulated for the day to day tasks of today's modern paint formulations and is VOC 2010 proof. Something that sets the Fox brush range apart is it's production. That is why we are very pleased for the brush range to be manufactured in Britain.